Is Ava DuVernay's New Gods Movie Part Of The DCEU? Is Ava DuVernay’s New Gods Movie Part Of The DCEU? From where we’re standing, Warner Bros. has a lot of projects brewing in various stages of development. There are the 100% confirmed ones, of course – those being Wonder Woman 2, Aquaman, Shazam!, Suicide Squad 2, Flashpoint – while they’ve also got a number of movies that may or may not happen, like Nightwing, Batgirl, Gotham City Sirens, etc. In fact, the studio has a bad habit of announcing films and then never getting them off the ground, and today, we have another to add to the list: The New Gods. Now, as exciting as this all is, the one question fans have been asking is whether The New Gods will be part of the DC Extended Universe? It’s a good question, too, as there’s been no clarification on the matter. Warner Bros. hasn’t made an official announcement just yet and we’ve seen conflicting reports – Deadline claims that it’s its own thing, while Variety says it’s part of the cinematic universe. If we had to guess, it’s going to fall under the DCEU umbrella. I mean, how could it not? 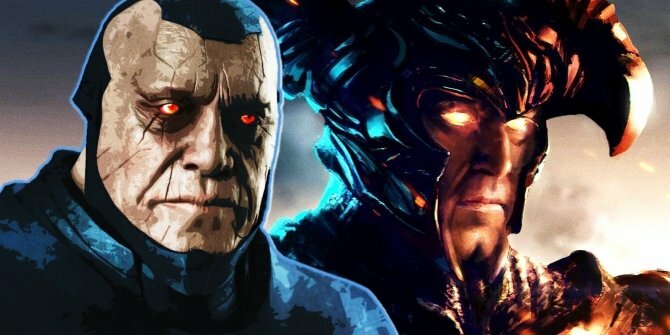 Given that Steppenwolf appeared in Justice League, we know that both the planet Apokolips and the New Gods themselves exist in this universe. Darkseid himself was even supposed to show up in the film, before he got cut. We imagine that the plan is probably to use DuVernay’s pic to now introduce audiences to the aforementioned villain and his corner of the DC universe before bringing him, and perhaps some of his supporting players, into the fold for Justice League 2. By which point, we’ll all be quite familiar with the big bad and eagerly anticipating his battle with Batman, Superman and the rest of the gang. Chalk that up as speculation for now, but it seems like the most probable route for DC to head down at this stage, and as more information on The New Gods surfaces, we’ll be sure to let you know.